It is only in the past few years that I come to appreciate the truly powerful songs of Neil Young. One of finest songs is Helpless which was first recorded by him with his band Crazy Horse and he then recorded with Crosby, Stills and Nash when he joined the trio in 1969. There are some really beautiful versions of it. It is a song that many music fans will have their own particular favourite version of. 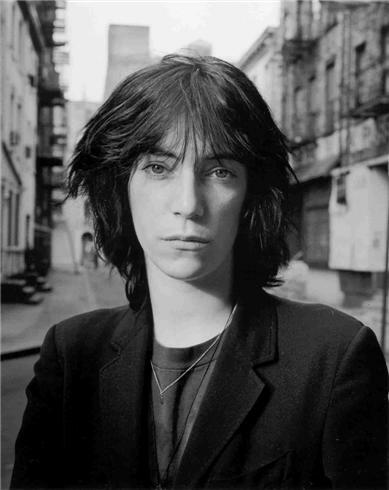 The version that I choose to highlight is by Patti Smith. It featured on her album Twelve in 2007. I have been lucky to see her twice in concert here in Dublin. Both times with my darling friend Brian. The first time was in Vicar Street a few years ago. The second time was in April of this year when she took part in a benefit concert for new playwriting at the Abbey Theatre with Sam Shepard. It was an evening of music, poetry and prose readings. Sam's daughter Hannah Jane played cello and also sang and it was one of those all time unforgettable evenings in Dublin. Sam Shepard sang bluegrass songs and Hannah Jane even sang in Irish. She looks so like her mother Jessica Lange, she has that same quality that made her mother a screen legend. One of the highlights of the evening for me was hearing Patti sing The Jackson Song. There is something so special about a great singer making a performance of a song sound like it is truly for that moment, you listen knowing you will always remember it. I think that is why music and song is art. Here is a performance of Helpless by Patti Smith and features her son Jackson on guitar and her daughter Jesse on piano. It was filmed in Paris at the Fondation Cartier in 2008. Here also is The Jackson Song was written for her son and featured on her Dream of Life album in 1988.